First introduced in NYC, Nissan is bringing a ‘customised’ NV200 taxi to Chicago, which will be unveiled for the first time at the Chicago Auto Show this year. With over 7000 cabs running in the city, Nissan wants to crowdsource a dialogue with taxi drivers and passengers via social media, through #HailYes, where the public could share their thoughts on what makes a better taxi experience. The Nissan NV200 taxi will get the white and green Chicago colors but with new offerings like USB charging, anti-fatigue seats, panoramic sky views of Chicago, reduced odors, more leg room and cargo space, passenger safety and other conveniences that other taxis don’t offer. The Renault Trafic, which has notched up sales of more than 1.6 million units in its buoyant career spanning more than 34 years is getting a refresh and is due to be released this summer. 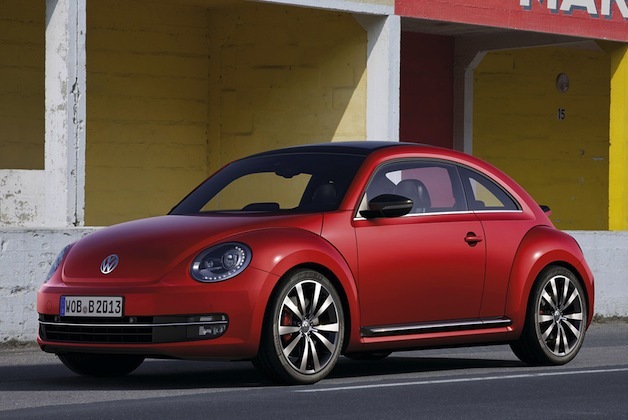 2012 Volkswagen Beetle Turbo pricing details are out! Those of you who have been awaiting the pumped up, all polished 2012 Volkswagen Beetle Turbo have been eagerly awaiting the pricing details. So here we go. The best performing version f the Beetle is expected to retail at $23,395, followed by $24,495 if ou would like to receive six-speed DSG transmission. Base models are expected to sell at $18,995 with the old five-speed manual gearbox. Step it up a bit to the Tiptronic six-speed auto for $20,895. The gorgeous bug is expected to be available in three versions: Base, Sunroof and Sunroof, Sound and Navi. Pay $27,995 and you can get a top-shelf 2.0T with the panoramic sunroof, Fender hi-fi sound system and navigation. For another 2k extra, you can get DSG for $29,095. Click here for a full run-down on prices. Don’t be stunned if you see the ‘Big Banana Car’ zifting past you this Spring! Filed Under: AUTO GADGETS, Beijing, Car Design, Car Safety, Caught on camera ., Concept Cars, Geneva, German cars, Green, Hybrids, Italian Cars, Japanese Cars, Motor Bikes, MOTOR SHOWS, MotorBusiness, MotorMediaWatch, MotorNews, MotorSports, Paris, Photo Galleries . I’ve heard of creative charitable efforts yes, but this one totally rocks it. The banana-shaped car that you see in the picture above is not just a funny pseudo-car sitting at the entrance of some circus, but a real one, built from scratch out of a 1991 Ford F-150. Developed by Steve Braithwaite who moved to the US from England two decades ago, the ‘Big Banana’ car is going to be used by him and his brother Spade to tour the world and spread awareness about deep venin thrombosis, a medical condition that led to their mother’s death. Going by the looks of that car, it isn’t surprising that the brothers have already managed to raise $1200 for the cause and hope to be able to raise a lot more. Come Spring, and don’t be surprised if you see this eye-catching Banana-shaped car zifting past you and leaves you wondering if you just saw what you saw. CEI introduces software to boost battery life by 25% in automobiles! Clean Energy Innovations (CEI) was recently awarded the Great Lakes Entrepreneur’s Quest Emerging Business Grand Prize for its software innovation that supposedly enhances the power performance of mobile phone batteries. Hearing this of course, the automobiles industry is not one to be left far behind, and CEI is hopeful that this software system could also be used in plug-in vehicles and could help enhance the battery life by 25 per cent. A rather ambitious goal I’d say. The company explains that the software controls the battery’s internal resistance and limits heat buildup, which allows for more efficient use of the charge. 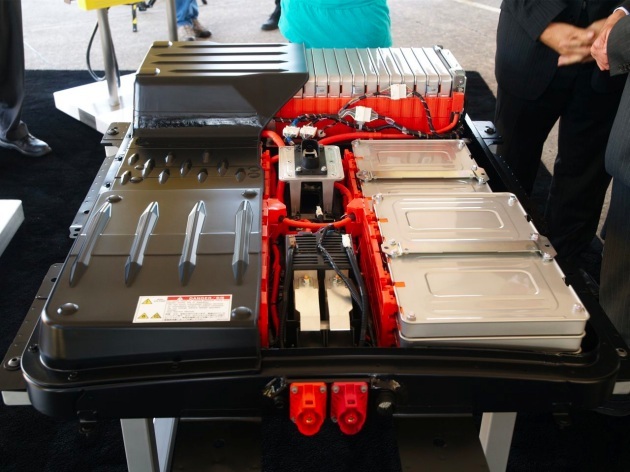 The company infact is so confident on this, that it has announced plans of opening up a facility in southeast Michigan by the end of this year, have it operational by 2012 and start production and testing of these batteries for the automobiles industry. A visit to the Koenigsegg factory: Pure eye-candy! If you are looking for a video that is nothing but a treat to your eyes and a tease to your cravings, click here to see what has been called a tour of the Koenigsegg factory. Not necessarily a tour, but more of a glimpse into the fabulous world of technology meeting aesthetic intelligence, the video does give you a sneak peak at the Agera and CCXR, teamed with special appearance of Christian Koenigsegg. The Jetlev R200 is here to make wakeboarding look like a lesser sport! In an age when wakeboarding and several other watersports are coming on the forefront again, what you are about to witness is high energy coupled with nature-driven power. Yes, the performer still needs more practice before he gets to the full functioning of that water-powered jet-pack called the Jetlev R200. That’s Bradley Hasemeyer from Translogic using the craft to ripple the waves. He is now in Miami, Florida enjoying the jet pack. 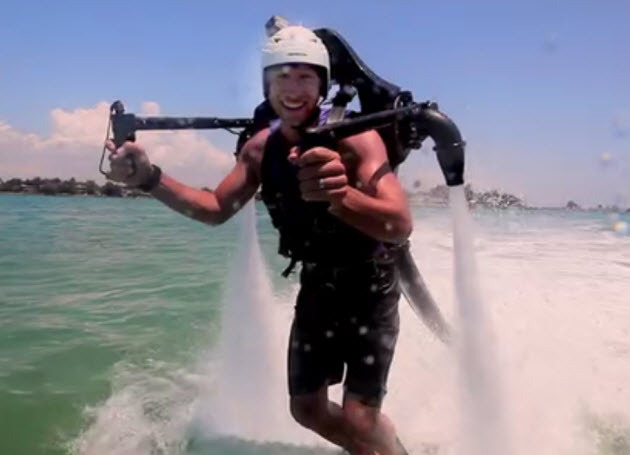 After strapping himself onto that dynamic watersport-machine that costs nearly $100,000, the man takes off on a bumpy, clumsy, but radically exciting sway through the water. Fiat Panda: 2 million units and counting! Sure, it is isn’t as stunning-looking as several of the cars out there but the Fiat Panda has stuck its purpose. 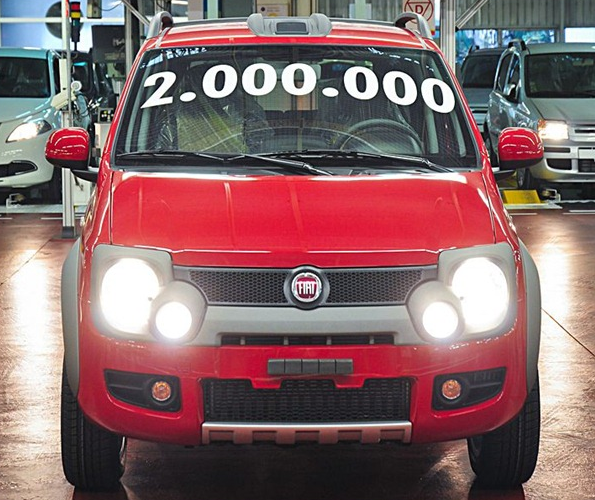 With more than two milion units sold since its launch in May 2003, Fiat’s only Panda production factory in Tychy, Poland, has been a very busy one. You might wonder where these Pandas are, if these 2 million are already out there. Well, the stallions in the Panda owning race are Italy with 1,204,734 units, followed by Germany with 164,600, France grabbed 125,239 and Poland snatched up 115,465 units. Offered with three gas-sipping engines at 54-horsepower 1.1-liter, a 69-hp 1.2-liter and the range-topping 77-hp 1.4-liter, there’s two additional versions at 75-hp 1.3-liter diesel engine and compressed natural gas and liquefied petroleum. While the next-generation upgraded version is getting ready for arrival in 2012, The Polish facility is busy churning out more of the present model.